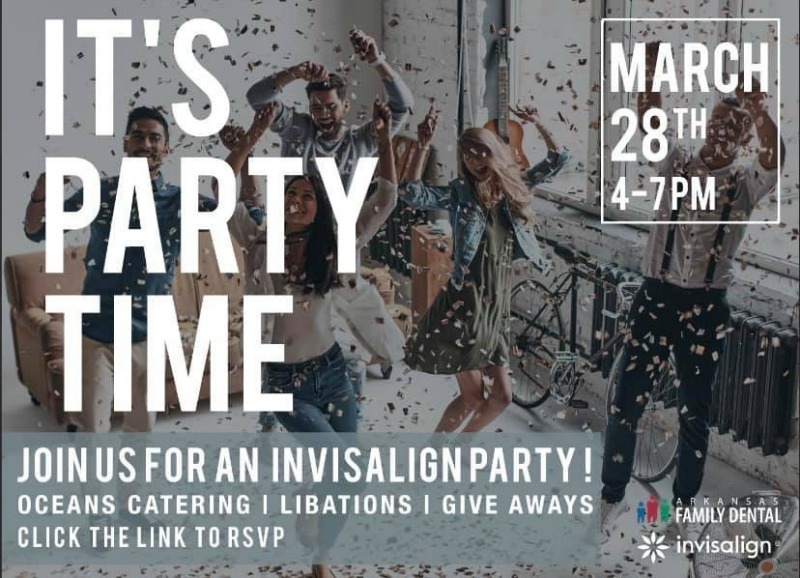 It's Invisalign Party Time at Arkansas Family Dental! It’s Invisalign Party Time at Arkansas Family Dental! This is a sponsored post written by me on behalf of Arkansas Family Dental. While I was compensated for this post, all thoughts and opinions are my own. 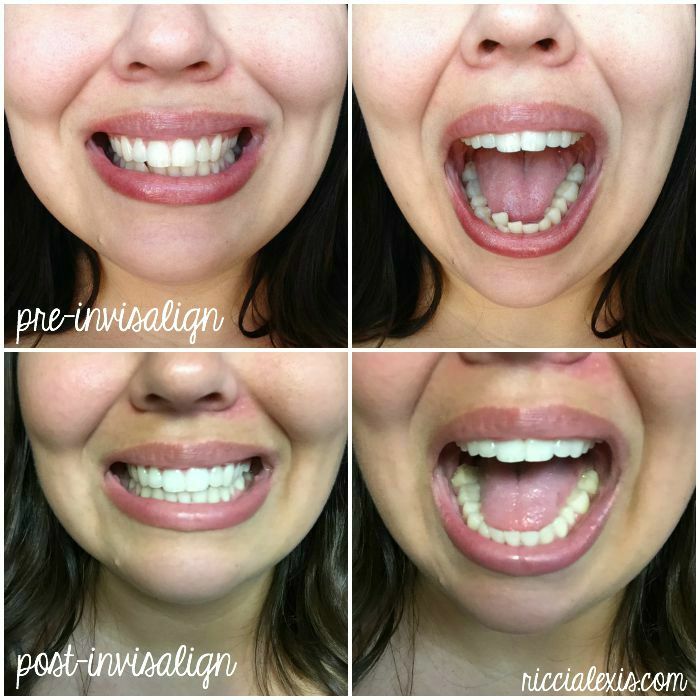 If you have been reading this blog for any length of time you may remember that a few years ago I got Invisalign! I completed my entire treatment in about six months and honestly, it was one of the best things I have ever done for myself. Since then I have gotten so many compliments on my smile and my confidence level is through the roof! A little of my backstory…as a kid I only ever got traditional braces on my top teeth. It was really expensive and you only ever really see someone’s top teeth so that worked for me! Also, I had two orthodontists die during my treatment and that may have had something to do with it?? LOL! After only ever having my top teeth in braces and never wearing my retainer, WEAR YOUR RETAINERS KIDS, my teeth shifted. So after years of talking about it with my dentist, Dr. Nichols at Arkansas Family Dental, and preparing my mouth for it (I had to get a few crowns and a tooth pulled before I could start my treatment) I was finally ready! Luckily Arkansas Family Dental has an in-house Invisalign specialist and I went to the other side of the office and saw Dr. Mascagni who set me up with my Invisalign treatment. 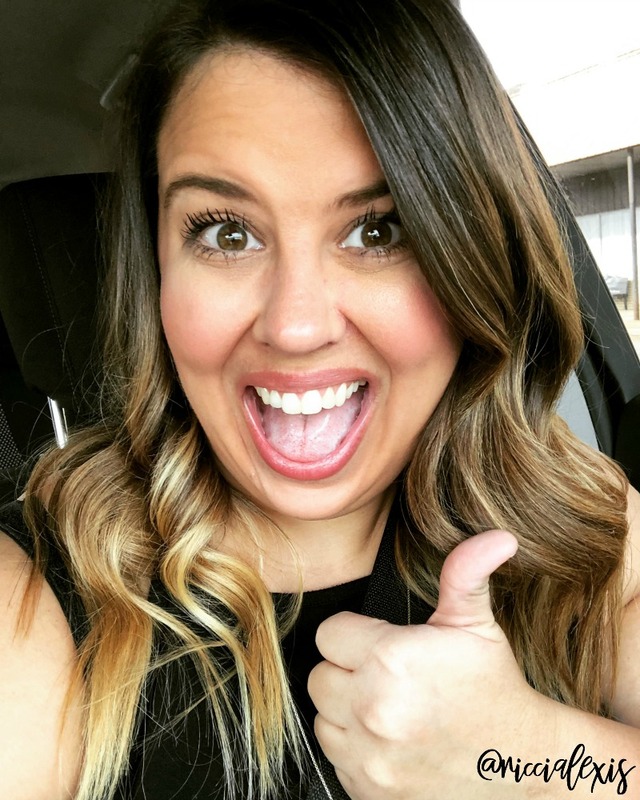 You can read about the start of my Invisalign journey here if you want! Like I mentioned earlier, my treatment took about 6 months from start to finish and almost four years later I am still happy with how everything turned out! My mouth went through major changes in that short amount of time and I am still loving my results! Side note – anyone notice that little bit of perioral dermatitis on the bottom photos? Ugh. It’s a never ending journey y’all. You may be wondering why I am talking about my Invisalign journey nearly four years after completing my treatment. Well, if you live in central Arkansas then today is your lucky day! Arkansas Family Dental…where I have been a patient for 10+ years, completed my Invisalign treatment, and got my first Botox…is hosting an Invisalign party TODAY from 4pm-7pm in their Little Rock office!! At the party you can snack on some yummy food from Oceans, drink some libations, get a smile assessment done, and get entered to WIN one of some very cool prizes!! The prizes include an Apple Watch, a Nintendo Switch, and $500 off your Invisalign treatment!! A few things to know about Invisalign treatment…from someone who’s completed treatment! Invisalign trays are practically invisible. People could hardly tell when I had them in! There is a little bit of a learning curve to getting the trays in and out but once you get the hang of it, it’s no big deal! Just like regular braces, the trays will make your teeth sore for the first few days after inserting a new one but it’s honestly not that bad. Some people, myself included, got the “bumps” put on my teeth to help move them during the process but they were clear too and you could hardly notice them! You are supposed to wear the trays 22 hours out of the day at a minimum. Honestly, I just kept mine in at any time I wasn’t eating. And yes, you have to brush every single time before you put your trays back in. On the plus side you will have amazingly clean teeth! I did have a little bit of sensitivity after my treatment was done but that only lasted for a few months and then my teeth adjusted to being out in the “open” 24/7. You may have a “refinement” period when you have finished all of your trays to make some minor adjustments to get the perfect smile! Arkansas Family Dental offers several payment plan options and will work with you on financing! Please excuse the horrible photo quality, this was taken waaaaaay back in 2015! Yikes! If you have any Invisalign questions please feel free to comment below or email me and I will get back to you ASAP!! Are you thinking about getting Invisalign?? What is one thing stopping you from doing it?? So cool. My daughter is interested in Invisalign. She likes the idea of the trays to the regular brackets. I told her I’d see if we could afford them. I might have to join the party! Heard of invisalign but never knew anyone who actually did the process. What a difference after all that time. Your looking great. This is definitely something we have to consider when your kiddo needs braces. This might actually work better for us than the other ones. It definitely looks nicer. I asked my dentist about using Invisalign for my teeth, but he said they wouldn’t work. I was really hoping they would. Your results are amazing! I’m seriously considering getting Invisalign for my 13 year old. She had braces and was miserable. I think they would be perfect. Those were great results! I love that the office had a party for Invisalign! That’s the neatest idea! Wow, that sounds like a great service and I am glad that, that treatment gives you an amazing result. I’m wearing my Invisalign trays as we speak! I absolutely loved my experience and am so impressed with the work it was able to do on my teeth! I’m looking at getting Invisalign for my daughter. It seems like a great process. I have heard great things about Invisalign! Your results look awesome! So nice of your Dental office to be organizing this party and offering prizes. Sounds like it’s going to be a lot of fun! This is cool! I think Invasalign is a great alternative, the result is really amazing on you! I just wanted to say that no matter the age, straighten our teeth is a good healthy thing. While I do not have Invisalign, I do have braces and so glad I took the plunge. You have a beautiful smile! And I am so glad that you had a good time! Umm, woah! What a difference. I have a slight imperfection in my lower teeth and have always wanted to try this. I’m just wondering if it is worth the cost. Look at you! I’m loving your results after using Invisalign. I didn’t know they worked so well. That’s an amazing result. I had braces in the past, didn’t have a good result, actually damaged my TMJ :( yours look perfect! 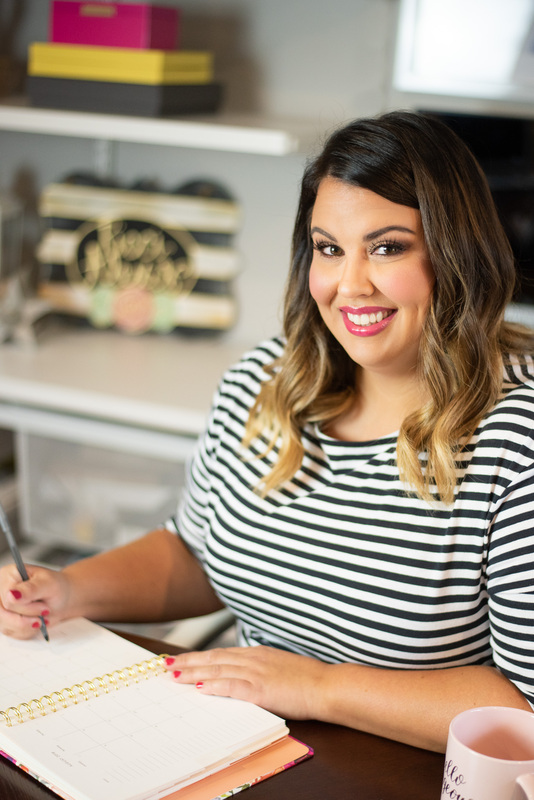 Subscribe today to receive a weekly newsletter full of fun stuff like a weekly blog post roundup and exclusive deals from my favorite places to shop!